We might not know which came first — the chicken, or the egg — but when it comes to chocolate chips and their namesake cookie, the history is well-documented, and it might not be what you think. Chocolate chips actually came after the chocolate chip cookie, and despite their ubiquity, are likely younger than your grandmother (they were first marketed in 1940!). Legend has it that the chocolate chip cookie was a happy accident, born when baker ran out of baker’s chocolate and opted for semi-sweet instead. The recipe spread like wildfire, and after a few years of selling their semi-sweet chocolate bars with a chopping tool (for easy chunking of the bar), Nestlé went one step further by introducing chocolate “morsels” to the world. With such a history, and with so much mass appeal, it’s no surprise that this kitchen delight deserves celebration, and that’s why, on May 15, we’ve got National Chocolate Chip Day. Most chefs know how to use tried-and-true flavor combinations to great effect, but the best chefs create new combinations altogether. Try using chocolate chips in a dinner recipe for a real challenge. If you’re looking for a place to start, you might consider trying the mole recipe in the section below! How Big Can You Bake It? You probably won’t approach the world record, but National Chocolate Chip Day is the perfect occasion to try your hand at baking the biggest chocolate chip cookie possible. With a mix of chocolate chips, M&Ms, and some other similarly-sized chocolate candies, you’re well on your way to a kid-friendly edible art project! This can get messy, though, so it’s probably a project best suited for the kitchen! They might have been created with one purpose in mind, but chocolate chips have branched out since their early days as cookie-fillers. 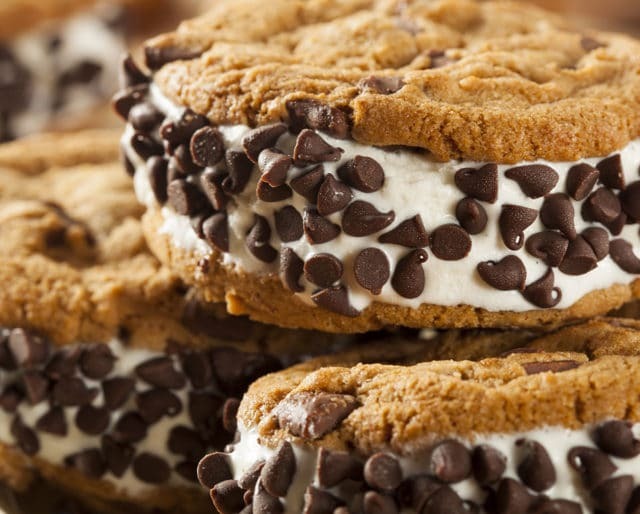 Nowadays, it’s hard to think up a confection that hasn’t donned a chocolate chip cap, whether they be pancakes, muffins, or ice cream sundaes. The Choices … oh, so many choices! The chocolate chips that eventually found their way into the classic chocolate chip cookie are made of semi-sweet chocolate, but in keeping with the times, they now come in a plethora of options — ranging from white chocolate, to dark chocolate, and all the way to caramel — ensuring that, no matter what you’re baking, there’s a place for a chip! Big Or Small — We'll Eat Them All! Everyone loves chocolate chip cookies, no matter the size. They could be small (so long as there’s enough to have more than one! ), or they could be massive, as in the case of Immaculate Baking’s 40,000 pound Guinness Record breaker, but regardless of size, they’re sure to draw a crowd. The fact that chocolate chips were used to break the record of world’s largest cookie is only a testament to their universality, and it’s safe to say that they’ll always have a space on the shelf of any baker.